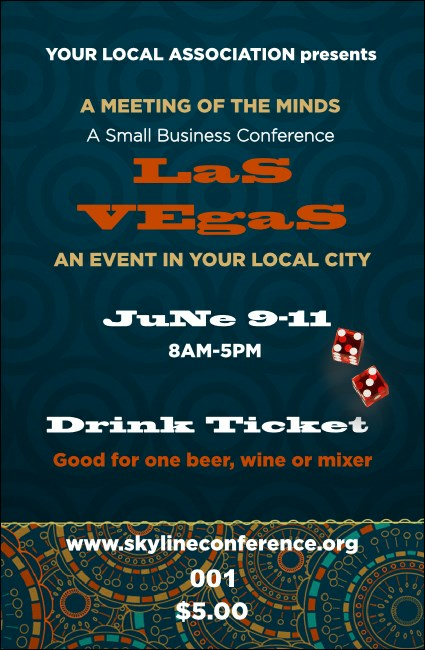 Help your guests keep calm and cool in the desert when you give them Las Vegas Lucky Drink Tickets at your next Nevada event. Make Sin City feel like home with ticket templates that feature a dark blue background with a modern bullseye background design, two red dice, and secure numbering for better event organization. You don’t need luck to find the right ticket at TicketPrinting.com!